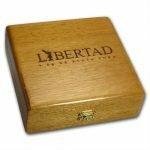 Credit Card and PayPal payments have a 4% surcharge. 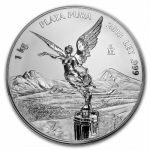 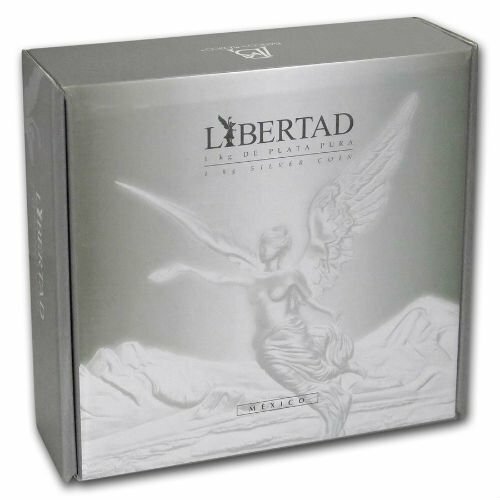 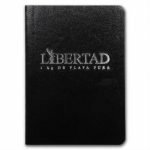 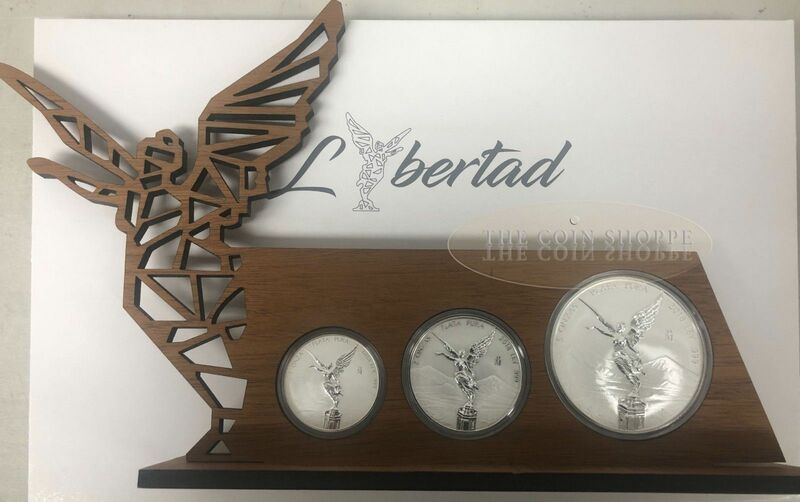 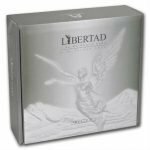 This 2018 1 kilo Prooflike Silver Libertad carries on the rich and proud tradition of the beloved Libertad series that began in 1982. 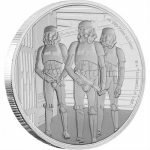 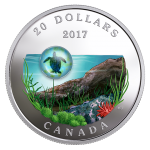 Limited mintage of 1,000 coins. 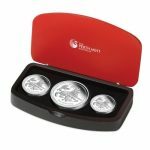 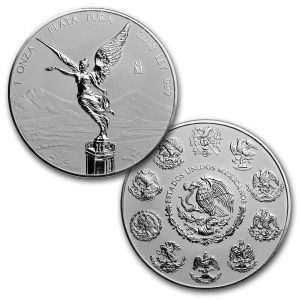 Contains 1 kilo (32.15 oz) of .999 fine Silver. 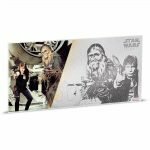 Packaged in a plastic capsule and in a high-quality wood presentation box, all in a protective outer box. 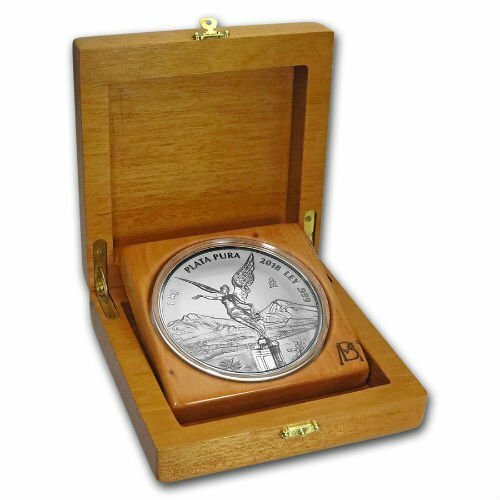 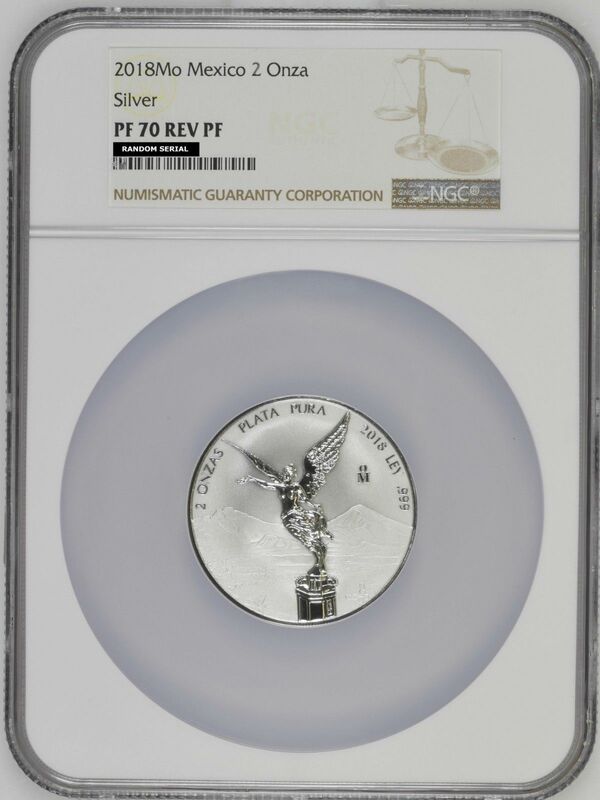 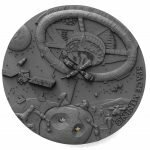 Each coin includes a serial-numbered certificate of authenticity. 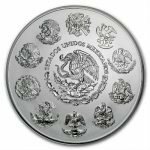 Obverse: Sculptural relief of the National Shield, encompassed by the legend “Estados Unidos Mexicanos” (United Mexican States), surrounded by different national coats of arms used throughout Mexico’s history. 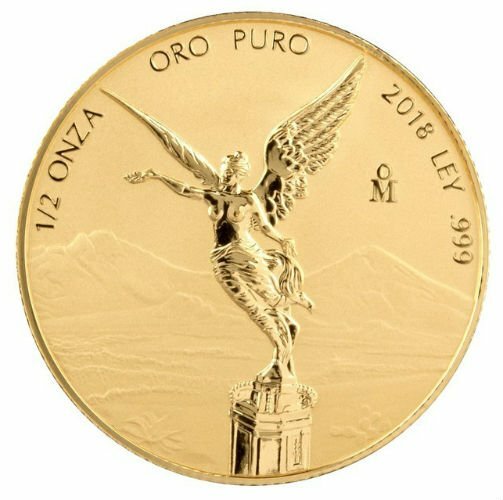 Reverse: Depicts two key symbols of the Mexican people: the Winged Victory statue in the forefront and the Mexican volcanoes Popocatépetl and Iztaccíhuatl in the background. 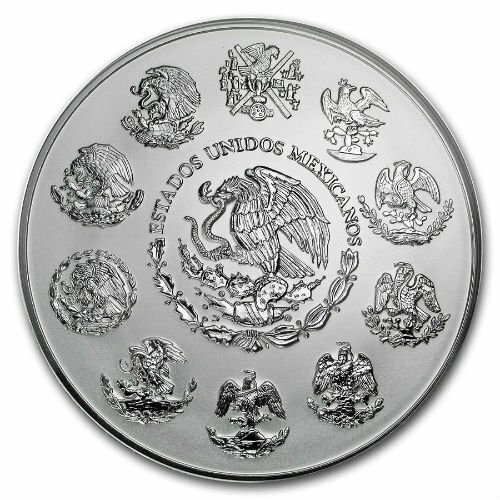 Guaranteed by Banco de México.